Trace with your finger how the Earth moves around the Sun. Most, imagine a dot in the centre, that’s the Sun, with the Earth and the other planets travelling around it in an elliptical motion. You probably learnt about how the planets move, way back, somewhere between afternoon milk and story time with teacher back in the first grade. Because of the diagrams you were shown as a child, you might, without thinking about it too much, assume the Sun is stationary and the other planets orbit around it in a roughly circular motion — just like the outline you just traced in your head. But that’s not how the Earth (or any of the other planets) move around the Sun. Instead, they move like this. The Sun is not stationary. It’s travelling at near 800,000 kilometres or 497,000 miles per hour around the centre of the galaxy. In a plane angled at 60 degrees to the Sun, the planets are orbiting the Sun. And, as gravity powers our solar system around the Milky Way, the planets, as they move around the Sun, trace out a shape. It’s not a circle. It’s not an ellipse. It’s a helix spiral. What has this got to do with cryptocurrencies? If you go to CoinMarketCap.com and click view all coins, you’ll see a list of over 2,100 coins. Which one do you choose? How do figure out which coin or token is most likely to succeed? You might choose using your gut. Something might resonate with you. The way a blockchain works or the ideology of its creators might be aligned with yours. And that might work. But it probably won’t. Your beliefs are your beliefs — right? Not always. In 1897, Ivan Pavlov published his experiments with dogs. Pavlov was studying digestive systems and noticed, over time, that when the dogs came into close contact with the lab technician who fed them, the dogs would start to salivate — even though the technician had no food. Pavlov replaced the stimulus (the technician) with a metronome. After a few repetitions, the dogs responded. Salivating on command to the sound of a metronome. When you were a child, you learnt not to touch something hot, like a kettle or an oven. Most likely, you either learnt this by constant repetition of the word no, or you learnt the hard way by actually touching something hot. Operant conditioning differs from the classical method used by Pavlov because it uses voluntary stimuli. Over time you build up a mental picture of behaviours more likely to give you a positive or pleasant outcome and which actions are associated with unpleasant consequences. It’s how parents have been teaching their children for thousands of years. Operant conditioning can be reinforced too. Behaviours can be manipulated with positive or negative reinforcement. You know positive reinforcement as the pleasure of a reward, and you know negative reinforcement as a punishment. But the conditioning doesn’t stop when you’re a child. In our 21st century world, conditioning is inescapable. The only solution is to realise it exists. Take traffic lights. You stop at a red light, and you go on a green light. Why? Because there’s an agreement on what green and red mean in this context. But what about yellow? Yellow means prepare to stop. 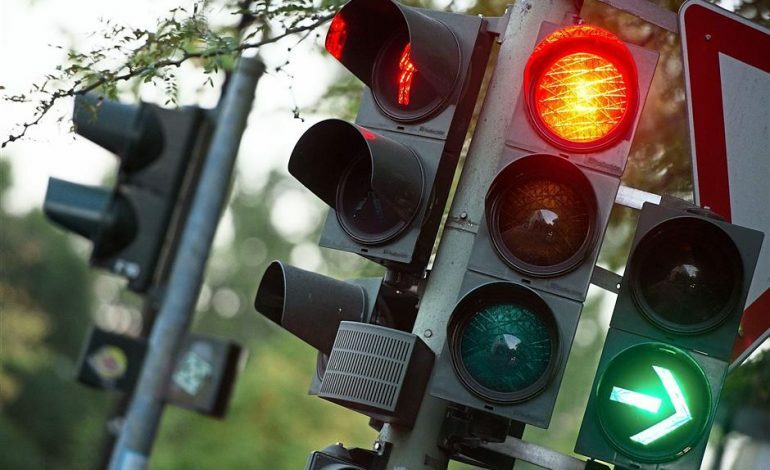 Five years ago, the Chinese traffic authorities made an amendment to the meaning of a yellow light. Yellow now meant stop — no matter what speed or distance from the line. Chaos ensued. Think screeching brakes and rear-end collisions. The Chinese quickly changed back to the old system. Let’s talk about money. Not too long ago, the value of money was based on the amount of gold a country owned. Since 1971, the value of money is based on nothing. Actually, money is now based on the abstract concept of trust. Money’s value is no longer tied to the amount of gold held; instead, it’s about how much confidence there is in a particular country’s economy, and the proxy indicator for the level of trust in a country is the cost its debt (bond) markets. The less trust there is in an economy, market forces will demand a higher level of return for the amount of risk taken. The less confidence there is, the less demand there is for a country’s bonds. As the price of a bond goes down, the yield of the bond goes up. When the yield matches the level of return investors are willing to take compared to the risk of making the loan, a trade will take place. A simplistic example is the 2009 Greece debt crisis. 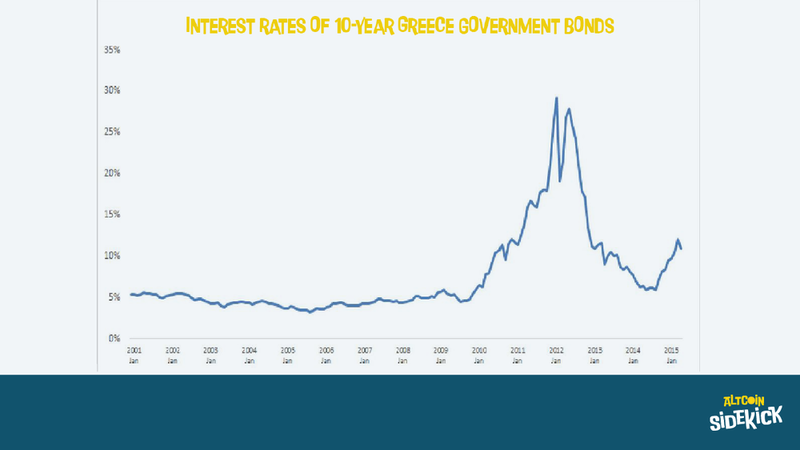 When Greece defaulted on its debt, as the level of trust in the Greek government decreased, the yield on Greek 10 year bonds started to climb from under 5% to 30%. The Greek government needed to offer a yield of 30% to attract money back into the country. Unable to fund its running costs, the Greek government needed to be bailed out by the International Monetary Fund and the European Central Bank. A few years later corporate owners of Greek debt had to except a 50% “haircut” on the amount of return they received from the bonds. Because of the amount of bailout money, and because of the debt relief received, the total amount of Greek debt only rose about 6% between 2009 and 2017, but the Greek debt to GDP ratio went up over 40%. Risk can’t be removed. But it can be moved around. Over the last 48 years, we’ve been conditioned to believe in the value of fiat currency — our dollars, pounds, euros, and yen. In reality, the money you work so hard to earn is created out of nothing more than an entry in a computer system. The world doesn’t work like most people think it does. For example, most people believe that bank deposits create loans. In fact, it’s the other way around. Bank loans create deposits. For the majority, everything they think they know about money isn’t just wrong. It’s backwards. In the modern economy, bank deposits make up the vast majority of money in circulation at around 97%. Banks create money by making new loans. If you took out a mortgage to buy a house, the bank gave you the money, not in the form of banknotes, but by crediting your bank account with a bank deposit of the size of your mortgage. The moment the credit hits your account, new money is created by the bank - at the pushing of the enter key on a keyboard. You, the buyer has a new asset — your house, and a new liability — your loan. The way a bank creates money flies in the face of commonly held beliefs out how banking works. The majority believe a bank can only lend out money they already have in the form of deposits, but that’s not the way banking or modern money supply works. In fact, bank deposits are a liability of the bank, and because they’re a liability deposits can’t be lent out as an asset. What about the role of the central bank? The bank’s money creation is constrained by central bank monetary policy. Central banks influence bank lending and new money creation by the effect of its monetary policy on the economy and also by affecting the interest rates charged by banks. Another factor influencing money creation are market forces. A bank’s business model is to receive a higher interest rate on loans (assets) than it does on its deposits (liabilities), and the interest rates on the bank's assets and liabilities will be dependent on the central bank policy. If a bank wants to attract more business, it will need to make its loans more competitive, but as each bank will be looking for an advantage over its competitors, the number of new loans or money creation it generates will be influenced by how efficient the bank is compared to other banks. Let’s say a bank lowers the mortgage interest rate it charges to attract new customers. The new loan, as soon as it is credited to the customer's account, creates new money, the new customer has a new asset (house) and a new liability (loan). The seller of the house will now have a new asset, a bank deposit from the sale of the home. But the seller’s account is most likely not at the same bank as the new home buying customer, so when the deposit is transferred to the seller's bank, the bank making the loan will have to use the balance from its reserves. If the bank continues to operate like this, the bank will eventually have too few reserves to meet possible outflows from deposit withdrawals. Under normal circumstances, this mechanism of market forces combined with central bank policy, keeps the system running. But sometimes, like in 2008, market forces get dangerously unbalanced. The $20 in your pocket is not redeemable back into gold. It’s worth something only because someone else is willing to hold it in return for providing a good or a service. You can understand this sentence just as quickly, even though some of the letters are in the wrong order because we don’t read the individual letters in isolation. We read the words as a whole. Have you ever sang or hummed an advertisement you heard or watched? Drinks that make you popular. Deodorant that makes you irresistible. Automobiles that make you powerful. Why are sports cars shaped liked sharks? An open road and you. It’s a myth. But it’s a myth that persuades, motivates, and powers our consumer-driven society. What motives people to invest in cryptocurrencies? Earlier, we discussed the 2,100 coins listed on CoinMarketCap.com. How do you know which, if any, of the thousands of coins, will be successful? When we have a problem, we attempt to solve it by thinking it through. The nine-dot problem is a good metaphor for how we think. Without taking the pen off of the paper, connect all nine dots. If you stay within the box, it’s impossible. Only when you step outside of it, can the problem be solved. How can you trust what you hear, read, or see? Unless you do the analysis yourself, you will always be dependent on tips or on someone else’s opinion. The 5%, the most successful speculators and investors, block out the noise coming at them through the internet firehose. They take a step back and observe the market action from 50,000 feet. This is the trend of the Alt-coin index. The top coins by market capitalisation, Bitcoin, Ethereum, Ripple, Bitcoin Cash, EOS, Stellar, Tether, Lightcoin, Bitcoin SV, Tron, and Cardano, have been removed — in mid January 2019, this list of coins represents 83% of the entire cryptocurrency marketplace, so the graph represents the balance, 17%, of the cryptocurrency market. This is a monthly view of the Alt-coin index in log scale. Has any month traded higher than the previous month since May 2018? Answer: No. This is the weekly view of the Alt-coin market index. As discussed in the SteamPunk article, the green line is the 200 period (week) simple moving average. The 5% take notice of the peak and troughs, the highs and lows. Do you see any higher highs (peaks) on the weekly chart? Answer: No. Do you see any higher lows (troughs) on the weekly chart? Answer: No. 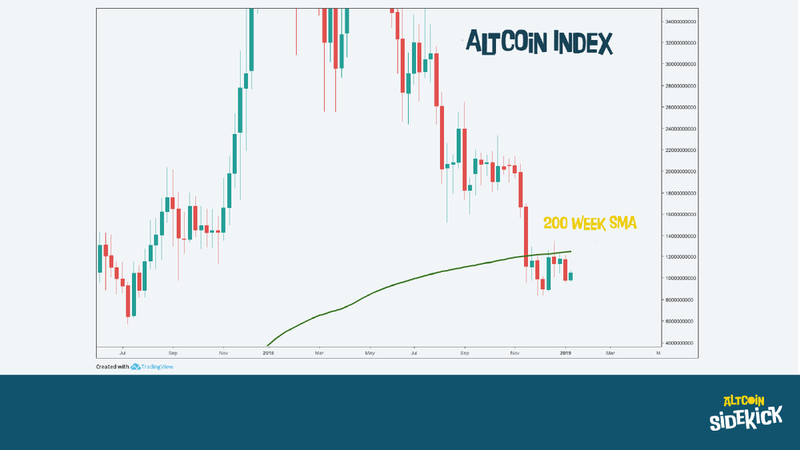 Also, notice how the Alt-coin index seems to be contained by the 200-period (week) simple moving average. The 200-period simple moving average is considered by many technicians (technicians are people who use technical charts as their only method of analysis), to be the “industry” standard indicator of long term trends. Is the Alt-coin index above the green line? Answer: No. The Alt-coin index has lower highs on a monthly timeframe. Lower highs and lower lows on a weekly timeframe, and is underneath the line considered by technicians to be a long term indicator of trend. With all three conditions currently in this state, what is the likelihood of a long term change in trend from down to up? The 5% take this information into consideration, even if they are positioning on a shorter time frame, and also if they only expect to be in position over the short-term. The 95% don’t. Like the creation of new money by issuing a loan at the click of a button, how prices trend is assumed by many and understood by few. As prices break out to new lows in an uptrend, the 5% ask themselves who is doing the selling at new lows — when the overall trend is up? Is it the professionals or is it the amateurs? As prices break out to new highs in downtrend, the 5% ask themselves who is doing the buying at new highs — when the overall trend is down? Is it the pros or is it the amateurs? Buying new highs and selling new lows has a low probability of success if the move is against the larger trend, yet a successful system can be made using high and low breakouts. The reason why this strategy can be successful is that of money management, position sizing, and alignment with the larger trend. Selling highs and lows without knowing what you’re doing is a low probability endeavour that causes many losses among the 95%. Cryptocurrencies, like all liquid financial markets, trend higher because new demand is overwhelming overhead supply. The cryptocurrency market trends lower because of the opposite effect — overhead supply is overwhelming new demand. Prices rally in down markets and test overhead supply. As prices hit an area of previous supply, the 5% ask who is most likely doing the buying after a rally into supply? Is it the pros or the amateurs? Prices decline in up markets and test previous areas of demand. The 5% ask who is most likely doing the selling after a decline into previous demand? Is it the pros or the amateurs? The psychology of market moves is little understood by the 95%. In an earlier article, “The 4th Dimension,” we discussed the four dimensions of trading and investing. The first dimension is price, the second is time. Price and time can be seen on the X and Y axis on a chart. The third dimension is volume. An emotion bar to the downside is a day where prices collapse to new lows after a prolonged move down and then recover and close in the top half of the day’s range. These bars are often accompanied by huge volume — sometimes more than 300% above average. When a market behaves like this, the level of fear in that market rises. The level of fear in a market is the 4th dimension. Generally, the 5% don’t attempt to trade an emotion bar low with a directional trade. They do, if the level of fear is high enough, sell options at lows and in doing so the 5% are attempting to profit from a phenomenon called a volatility crush. As prices fall and fear rises, the 5% might sell an option at a particular price. The level they sell the option at is called the strike price. Options come with different expiry dates, but let’s say for the sake of example, the expiry date is in ten trading days. After selling the option, the 5% will receive a payment. But the payment comes with an obligation. At any time in the next ten trading days, if the price of the market falls below the level the 5% sold the option, they will be losing money. Not only that but they might be exercised. Being exercised means, they’ll be forced to buy the underlying market at the price of the strike. Remember the other side of this trade — a put buyer expects the market to go down. A put seller expects the market to go up. The reason the 5% sell options, when the level of fear is high, is because they will receive a higher premium payment. All the market has to do is stay above their agreed strike price for, in this case, ten days, and their option buying obligation will end. But if the level of fear is high after a move down, and they sell a strike even further away from the price, if the market pauses or even rallies just a little, the level of fear will subside. As the fear levels drop, the price of the sold option drops allowing the 5% to sell out for a profit quickly. Let’s say, after a fast move down, an option can be sold for $5. A large part of this price is made up of fear premium. If, a day or two later, the price has stabilised or rallied; then, the option, sold for $5, can be bought back for $3. This high percentage adjustment to an option price, from a high volatility environment to a low volatility environment is called a vol or volatility crush. And it can happen without a significant move in the price of the underlying market. Markets, even the cryptocurrency markets, don’t work like the majority think they do. Few realise it’s possible to sell something you don’t yet own to open a transaction and buy it back later to close the transaction. If you are short options and can buy the options back at a lower price, you profit from the price difference. This description of using options comes with a warning. Options can be bought and sold “naked,” or they can be bought and sold and turned into an options strategy. Selling naked options is absolutely not recommended because, unless you understand the financial weapons that options are, you could face unlimited catastrophic losses. Naked options are only discussed here to reinforce the point that there are alternative methods available when building a trading strategy. Trends, like the planets moving around the Sun, don’t work the way the majority of market participants think they do. There is an unlimited number of ways trends can be traded. The 95% believe the only way to trade a market is by taking a directional position. Nothing is further from the truth.